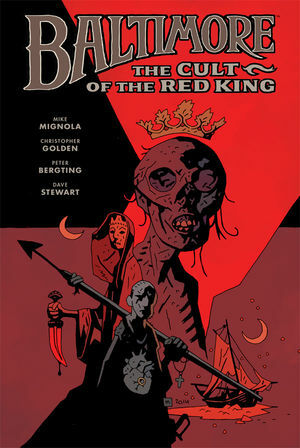 Lord Baltimore hunts the godlike Red King, who is responsible for the vampire plague. After saving a young woman from her undead husband, Baltimore and his team of fearless vampire killers face the demonic offspring of a witch and uncover the truth about the inquisitor-turned-werewolf Judge Duvic?now more bloodthirsty than ever. Collects Baltimore: The Witch of Harju #1?#3 and The Wolf and the Apostle #1?#2. * The adventures continue past the original novel for the first time!